For 12 to 18 year-olds. 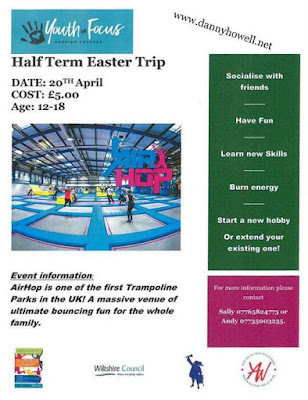 is the world's biggest trampoline park. or Andy, telephone 07735 003235.